This week, Kanwar Sarabjit Singh a 51 year old lawful permanent resident (LPR) in the United States pleaded guilty for using Facebook and WhatsApp to falsely represent himself as an employee of the US Department of Homeland Security (DHS). Mr Singh claimed he worked in the US Immigration and Naturalisation Service (USCIS). He offered to obtain ‘genuine US visas’ in exchange for a fee of $3,000 to $4,000, US Attorney’s Office for the Eastern District of Virginia said. He pleaded guilty to wire fraud and impersonation of a federal officer and faces a maximum penalty of 20 years in prison when sentenced on December 14. As part of his scheme, Mr Singh created a fake photo identification document pretending to be from the DHS, which he mailed to others in an effort to show that he was capable to obtain US immigration documents. Mr Singh gained the trust of a local pastor and his church, including elderly members, and falsely represented to them that he owned a small company in India that provided labour for services, including data entry, to two large, international companies and that for a small, up-front investment, they would see a large return on their money. A citizen of India pleaded guilty today to operating a fraud scheme in which he used Facebook and WhatsApp to scam people seeking to purchase United States visas. 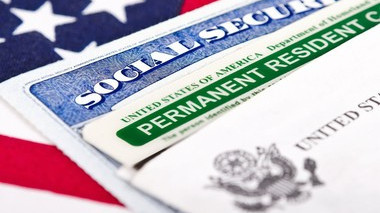 According to court documents, Kanwar Sarabjit Singh (aka Sandy Singh), 51, a lawful permanent resident, used Facebook and WhatsApp to falsely represent himself as an employee of the U.S. Department of Homeland Security (DHS) who worked in the U.S. Immigration and Naturalization Service and who could obtain genuine United States visas in exchange for a fee of $3,000 to $4,000. As part of his scheme, Singh created a fake photo identification document purporting to be from DHS, which he emailed to others in an effort to show that he was, in fact, able to obtain United States immigration documents. Singh instructed individuals seeking immigration documents to email him passport photographs, copies of their passports and other personally identifying information and to send him money via overnight delivery service or by wire transfer. After receiving these documents and the requested fee up front, Singh created and emailed fake letters purporting to be from the U.S. Embassy in New Delhi, India, which falsely represented that there was an appointment to pick up the requested visa documents. Many of Singh’s victims resided overseas and were impoverished. In addition to this visa fraud scheme, Singh also admitted to engaging in an investment fraud scheme in Pigeon Forge, Tennessee, in 2012, in which he defrauded approximately 22 investors of approximately $340,000. Singh gained the trust of a local pastor and his church, including elderly members, and falsely represented to them that he owned a small company in India that provided labor for services, including data entry, to two large, international companies and that for a small, up-front investment, they would see a large return on their money.